One of my dear friends who works in fundraising recently invited me to join her at the official launch of the London Community Foundation’s 2013 Community Vitality Grant Program. With the title “Community Vitality – Game Changing Ways” and featuring keynote speaker, Seattle-based ‘community builder’ Jim Diers, how could I resist? 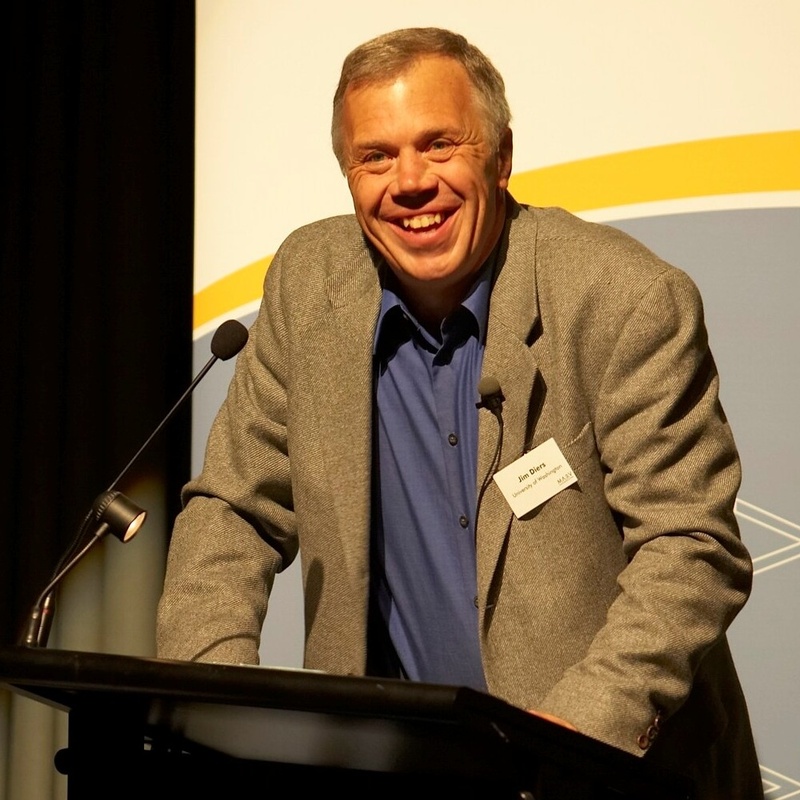 Keynote speaker, Jim Diers, was invited to share his passion for community building. I checked my cynicism at the door, and vowed to open myself to the possibility that this might be more than just another pie-in-the-sky session about how little London Ontario could become a ‘world-class’ city with a bustling downtown and thriving creative class. His presentation began with the refreshing acknowledgement that any discussion about community building cannot simply be about where we want to get, but must also be about finding the means to achieve our collective goals. 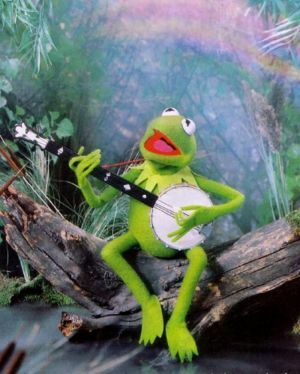 To change community, change how you play. Break down the silos that exist between non-profit organizations, and government departments. Focus on the whole place, rather than just one slice of the pie. In Seattle, this meant establishing a Department of Neighbourhoods with physical (not virtual!) branches in each area of town – a one-stop shop where residents can access information and city resources. Diers described Department of Neighbourhoods staff as “overt double-agents,” city employees who actually work for the good of their own neighbourhood. Shift your thinking from starting with needs, to starting with strengths. This comment was directed at the many non-profit social agencies in the room. Too many times, Diers said, agencies focus on what clients lack, rather than what they already have. If you start with what people can offer they become citizens with something to contribute rather than faceless service users. Quite a radical proposition to offer a room full of people whose own livelihood relies on having a social problem to fix. Move from top-down projects to community-driven initiatives. This is where Diers offered an actual road map for turning collective dreams into reality. Seattle is celebrating the 25th anniversary of the city’s Neighbourhood Matching Fund. It’s a simple concept that has had powerful results: if a neighbourhood has an idea for a one-time project and can rally enough financial and community support, the city will match the funds. Diers showcased many Seattle success stories, including neighbourhood parks, community gardens, social housing developments, and even a youth arts program. My favourites were turning the top floor of a parking garage into an urban community garden, and a public art competition that transformed a derelict underpass into a tourist attraction. 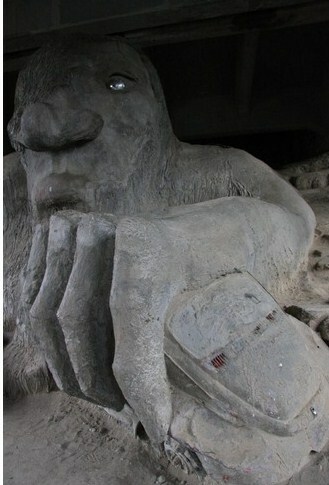 The Seattle Troll turned a derelict urban underpass into a tourist attraction. More holistic and innovative solutions are found. That left the room to discuss the question: What would game-changers look like in London, Ontario? Clean up our urban waterways so they are swimmable. This includes the Thames River and Fanshawe Lake. Creating a public beach at the Forks of the Thames has already been proposed by city planners, and widely ridiculed in the media. But I’ve swum in almost every city in Switzerland, including downtown Geneva and Bern, as well as in many communities on the Bodensee (the lake between Germany, Switzerland and Austria), so I don’t see why we can’t do it here. I’ll continue to dream about a day when I can swim in the Thames! Of course, cleaning up the Thames is a huge project that would take more than community builders to achieve. But I’m allowed to dream, and I know it would be a game-changer. I’m sure many in the room had more practical ideas that could quickly come to fruition with some elbow grease and a London Community Foundation Community Vitality Grant, and I look forward to seeing them spring to life. As for me, I’ll leave you to contemplate this photo from bern.com…. 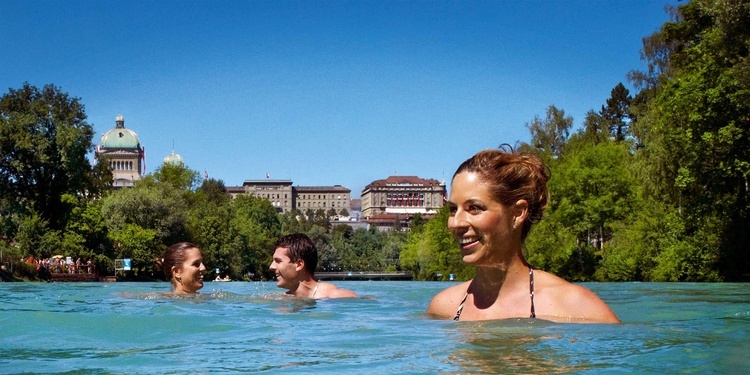 Swimming in downtown Bern, Switzerland…those are the parliament buildings in the background. What are your game-changing dreams for London?